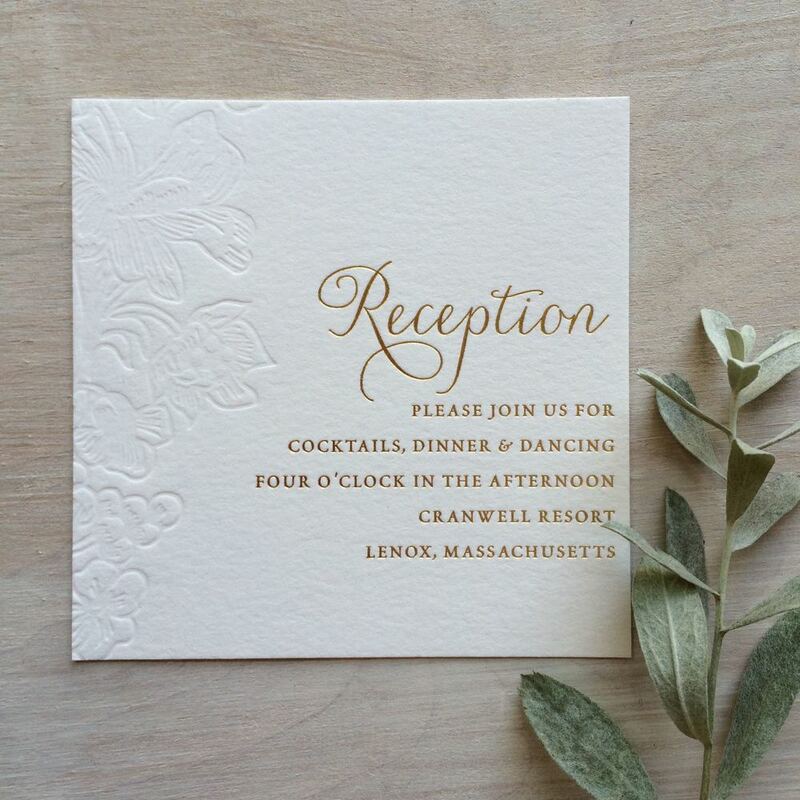 This is a 7-piece invitation suite, printed on 100% cotton paper. 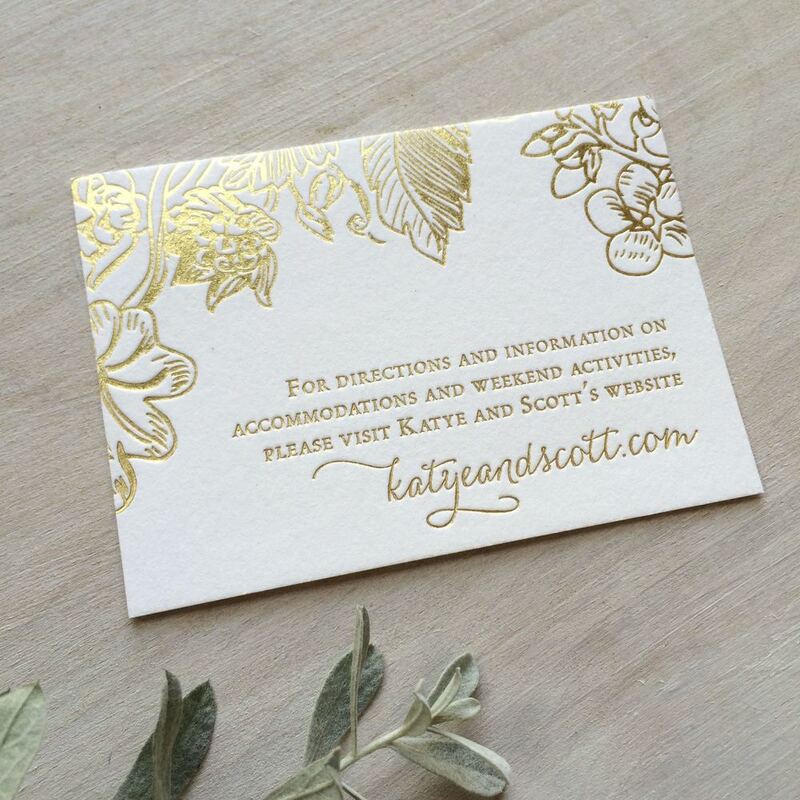 It features a floral pattern, pressed into the paper without ink, as well as gold metallic foil and sage green ink. It is tied with a loose weave cotton and metallic ribbon.